Having trouble clearing out your Netflix queue? You're about to get some help. 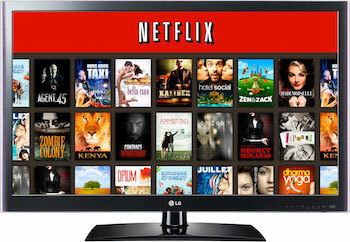 Movies and shows come and go on Netflix. Due to timed licensing agreements, you never know if that movie you've been dying to see, but never had the time to watch will disappear on you. Its not particularly noticeable most of the time: One day you'll sit down to watch something you could've sworn was available before, but is no longer in the library. January 1st, 2014 is not going to be one of those times: With almost 100 movies and TV shows being removed when the ball drops, there's a pretty good chance you'll be able to tell something is off. Based on the sheer number of programs, 84 movies and five TV shows, it isn't a big loss for a service that has tens of thousands of movies. In fact, It's a drop in the bucket compared to when they dropped 1,800 shows and movies in May. Like any good (or bad) list, the turnover is noticeable because of its quality, not its quantity. The parting films includes re-watchable action flicks like Braveheart and Top Gun, goofy comedies Half-Baked and Scary Movie, and one of my personal favorites, Spike Lee's Do The Right Thing. Also, Street Fighter's on the list.